Hi all:Greetings from Texas!! Sorry I have been MIA-my home Internet has been wonky and then my work internet has been wonky as well! I will post a few more times today to make up to it and then get on a regular schedule next week:I promise! Thanks to our amazing hostesses: the DC Trifecta Bloggers (Courtney from Eat Pray Run DC, Mar from Mar on the Run, and Cynthia from You Signed Up For What?!) for hosting the Linkup. Our theme this week is Fitness Tunes! I just bought a few new songs so I wanted to share with you my 5 new favorite running tunes! I listen to a TON of EDM (Electronic Dance Music) while running as I have found the beats coordinate well with my speed. I did not like it at first but now I love it! Skillrex is one of my favorite DJs and it is off his new album Recess. I really like how fast the beat is-great for running! I think this tune is so catchy and so much fun. The beat is by Zedd! I have been on this song for awhile. I love how much energy it gives me. What are some of your favorite workout tunes? Denver was awesome and I had a great time at the Conference. I will write more about the food (such a good gluten free city!!) later as well as my presentations but I wanted to go over the fun things I did. State capitol-I love Capitols so I knew I had to go to this one. I went and took a selfie on the 13th step as it is exactly 5,280 (1 mile) above Sea Level. Another cool thing-you can enter the capitol and tour it for free! It was so gorgeous inside and I would have loved to take an organized tour but did not have time. Molly brown’s house-I have always liked Molly Brown so I was excited to go to her house. Karen and I toured it and it was SO AWESOME. Molly Brown was a great activist and her home was gorgeous. Highly recommend it to everyone. Red rock amphitheater- I love watching Extreme Weight Loss with Chris and Heidi Powell and they always take the contestants there and it looks so gorgeous and it was! We did a nice hike around the red rocks and then went to the amphitheater which is just mindblowing. Also mindblowing, watching all of the people work out and do crazy things. We were both winded from doing the stairs up so I can’t imagine doing a full workout there. 16th street mall- so many great restaurants and bars. I was surprised that many places closed around 10PM, which was much different than Nashville last year. I would recommend doing some Yelp reviews as there are a lot of chains but all of the food I had was great. Also, so interesting because much of the food was cheap and good. Also, almost every place sold alcohol-a very chill vibe in a chill city. Coors Field- I remember when the Rockies were expanded and I love going to baseball stadiums. I was very impressed with this one! We were seated right below the Rooftop which was essentially chill areas and many bars. We all had a great time. Afterwards, we went to Howl at the Moon and partied the night away! Airport is far-Just so you know, it is about 45-60 minutes WITHOUT TRAFFIC to get to Downtown. I am so glad I knew that as it helped booking my flights. Altitude issues-dehydration, trouble sleeping, hard to breathe-yup, I had all of them. I thought all the hype about altitude was bs, I was sorely wrong. Working out is difficult-I was so excited for a 57 degree run until I got outside and could barely breathe. Training in altitude is hard so make sure to be aware of that and cut yourself a break. Alcohol will hit you differently-I was a bit concerned as I feeling the effects after 2 glasses of wine, which is not normal for me. You know how when you drink on a plane, it hits you faster-yup, same thing. Just keep that in mind. Compression clothes are your friend-I always wear them on planes and I wore them every night to bed. It helped a lot with any swelling. Green chile-it seems to be there signature food. Try it often as every type of green chile I had was very different. That is it for now? Have you ever visited Denver before? inside of the Capitol-so gorgeous! So sorry I did not recap this last week but here we go for this week! 9/1/2014: so much food! I will be writing reviews of a few restaurants in Denver but thought it would be a good idea to write about what I ate each day. 9/8/2014: Having food when I got back was great but I also had to do some crazy grocery shopping! I was able to get a crock pot meal done (which also was my lunch for most days) and get good groceries. I feel like I am finally back in my normal routine. I ate a lot of snack food (Disneyland bbq and snacks, burgers at the game party, nachos and pizza at the pool party) so my stomach has been a bit wonky but I feel I have handled it well since then. THIS WEEK: Stay on track. There is food in the crockpot already at home for dinner. I am going to try not to go grocery shopping this week so I can hit up the farmer's market on Thursday as well as use more food from my pantry. My secondary goal this week is to organize my pantry a bit better. I started throwing things out there were old so I am hoping to finish it all by the end of the week. 9/1: WOW-I really burnt the candles at both ends. I will write more about Denver and all I did (and how I felt) soon but I was really lacking sleep. Most nights I slept 6-7 hours from going out so late at night. However, I would not trade it for anything, as I loved how much fun I had. 9/8: just HORRIBLE! ugh. between my busy schedule and the heat, I never made it over 7 hours of sleep. I am hoping that this week will be better but the heat is staying around until at least Thursday :( I think I have worked out a schedule for my life so let's hope that it works this week! THIS WEEK: going to really work on trying to get as close to 8 hours as possible. I will need to get in bed early since it is so hot, I waste so much time tossing and turning. Last night was the first night I woke up not exhausted in about 2 weeks. let's hope it can continue! SUN: Hiking at red rock ampitheatre and more walking. I hit 13,000 steps! SUN: tried for 10, but ended up doing 5.3 miles. it was just too hot! The conference was awesome. I promise I will blog about my presentations soon. I had a great time in Denver and can’t wait to go back! I need to really work on getting a schedule down for work, school, blog, etc. I have an idea this week so let's see if I can execute it! I am looking forward to the Katy Perry concert on Friday!! Crappy run (ignore the crazy face!) at least I got to try out my new shirt and sparkle skirt! Here is the big race of the weekend! We got up at 3:30 am and were out of the door by 4:05. We were tight from the day before so had to add in time to roll. We went to meet up with some more teamrundisney peeps and then headed to the start. We took a pic with the Green Army Men with Erica and Greg, got some more pictures, checked our bags, potty break and headed to the corrals. Having the Green Army Men out was GREAT as that was one less stop we had to make on the course. Well this is where it was a bit of a mess. They were more organized than last year (much larger) but you had to cross in front of the corrals to get to corral H so it soon turned very ugly. Also, for some reason, there were spectators waiting on the path, further making it congested. While waiting for the start, we played a game of rating costumes. We rated them on how cute they were but also how practical as it was going to get very hot, very quickly. I was feeling pretty well and just ready to get going. So it finally was start time and they released A and B together, then C and D together. It was very strange-why not just make them one large corral? Then E and F went and finally it was corral G’s turn. This is where it was a HOT MESS. Remember the pathway? Well they never could get it blocked off so even though we went to the corral early and were in the front. By the time the barriers were moved, TONS of people hopped in (including some from corral H) and we were about 600 people back. Sorry yall, but that was not cool. I got there early because I wanted to be towards the front and now people just hop in front of me? Along with people from corral H (that went from a 2:30-3:15 finish time?). Disney has GOT to fix the corral situation. We decided to just make the best of it and with the course starting on a downhill, it spread out quickly. We stuck with out 2:15 run/:30 sec walk intervals and decided to take it easy to conserve energy and then could speed up after we left Angels stadium if we felt like it. Before long, we were backstage. Yay for the park miles! We had a goal of finding a rundisney photographer and trying to get on their facebook. As we entered DCA we decided to get a pic with Storytellers and guess what? WE GOT ON FACEBOOK! Woo-hoo! So much fun! We had a great time taking pics and there were definitely more characters out then at the Disneyland 10k the day before. As we entered Disneyland, it was nice to have cheersquad out (however it was still not as many spectators that are our on Main St at Magic Kingdom) and saw Donald and the 3 cabalerellos out. Of course as we soon as we got in line, the 3 left and it was just Donald but we wanted the pic anyway. We eventually looped through and decided to use the bathrooms at Pinocchio Village Haus, which was very uncrowded, then took a pic by the Dumbo ride of course! As we looped through the castle to Tomorrowland and over to Small World, we saw the best character stop-DR FACILIER from Princess and the frog. We had to stop and it was not too long of a line. His hands were epic as was his costume. I was so happy we had a good character stop. Cruella de vil was also there and she was mortified I would ever dress as an elephant because how could she make a coat out of an elephant? Soon after, we were headed to Toontown and out of the streets. This is where we went to work. As this was my 4th time running this course (which is INSANE to think about), I knew this course very well. We were able to maneuver pretty well and tried to keep the maneuvering but it was a bit to have to weave in and out of people but we were able to try and spread out. We saw a few bands and dance groups and then saw the mile (or maybe more) of the old cars. It was a great way to pass the time and I was feeling great too. Before we knew it, we were to Honda Center (love the Batmobile and Lightning McQueen car), and on to the Santa Ana River Trail. This trail has definitely gotten better as some of it was paved but it still pretty narrow. It was nice to see the new Anaheim train station being built-it is going to be beautiful when it is in done. Soon after, we hit mile 9 and the start of the boy scouts and the Clif area and Angels stadium. Seriously, this race is worth the crowd support of Angels stadium-seeing all the Boy and Girl Scouts always brings tears to my eyes and gives me chills. It is such a good boost. After leaving the stadium, we saw a few bands and then it was only 10 miles until we were done. Did I mention the 501st had out stormtroopers? SO AWESOME! We were heading back stage and I started to get a bit emotionally. It has been a hot and rough summer with training and the last month has been a very trying time in my life. I don’t talk about it much but it has been very hectic and busy with work and school. There were so many days I would wake up, be mentally exhausted, go out for a run that was hot and blah and really disappointed and doubting myself. The devil will always try to bring you down and I am so happy, I let those bad thoughts get out of my head. I can do 10k+half, I can do Dopey, I can do 5k+10k+half-no matter what my mind may feel sometime. Before we knew it, we were on our way to the finish. We continued to do strong intervals and were both so happy to be done. DONE! Our finish time was 3:04:32 (14:05 pace) which is my second fastest time at a Disney half! (Still 13 minutes off my PR in 2010 as that weather was much better). Our running time according to my garmin was 2:42: 20 (12:22 pace) which is not bad considering the weather and humidity. I really wanted to go under 3 hours however with the heat and humidity, I think we did it really well not pushing it too hard. We were actually doing faster intervals than the day before. We headed back to the hotel to pack, roll, stretch and shower and get to Goofy’s Kitchen for brunch. We had an amazing brunch but the characters were really slow. We saw Rafiki, Alice, Captain Hook, Pluto, Dale and Goofy. We missed Chip (we think) and Jasmine as they were really slow. Afterwards, I got gas and went to Rafa’s to relax and then to Ralph’s aunts house for a BBQ. I was exhausted and probably should have skipped the BBQ as I didn’t get home until 11 PM. Monday was a great day as I had a ton of errands to do, readings to do and so much packing and laundry. I definitely learned my lesson for next year-after Dumbo, I need to go home and do laundry and homework so I can pack for my Conference (yes, the conference next year is the same time frame). If you want to see more pics of the course (I didn’t take too many!) visit Greg’s blog and Patty’s blog. All my pics turned out blurry-oops. Overall, I feel I had a good race. I was rested but I would love for next year to spend less time in the parks and more time relaxing so that I can feel even better. What were your thoughts on the 2014 DL half? This week’s topic is Fall runs. As it is September, Halloween has started at WDW and will start this week at Disneyland, it is almost fall! Here in LA, we have had an unusual warm and humid summer. I am hoping that means we will have a nice fall (usually it is the opposite) but only time will tell. I have quite a few races on my Fall calendar. I will consider races from September to December as Fall as winter officially starts end of December. 11/27-turkey tory (5k +10k)—still need to register. Hoping for a discount code. As I wrote in an old post about training, I am hoping to be able to build up my mileage for Dopey while sticking with other races. This will be a very trying time for me to fit in travel, work, school, college football, Disney trips, and running but I am up to the challenge. I think the runs will help keep me organized, but that also means I will need to have many early nights on weekends. Maybe I can reserve the nights before long runs as days to do school work/reading?? I can definitely give it a shot in the next few weeks. So the plan is pretty simple-stick with my 2 5ks a week and add in longer runs on weekends. I was worried about how I would feel after Dumbo, but I am doing great. I took most of the week off running but was still active in Denver so I am hoping the altitude will help. 9/21- Dodger 5k-I would love to try and really race this but it will depend on weather and humidity. My 2 options right now I am debating is gunning for as close to 30:00 as I can get or running a straight 5k in a race. We will have to just wait and see but I want to run this hard. 10/11- 15 miles. I want to try and run this at night to simulate wine and dine but we will have to work out logistics. 10/26-LA rock n Roll. This race is crucial for me. I am going to train hard to do well at this one. I ran a sub 2:20 in training in July and I know I am capable of better in a race (especially with proper rest days as that was after a 3.1 and 6.2). My goal for this race is 2:14. Why 2:14? Well for Disney races, under 2:15 is a separate corral and I want to move up another corral. Right now, with my current 10k PR of 1:02:46, I am slotted to finish halves in 2:18. I really think I can do this as the course is very familiar to me. 11/8-wine and dine half. I am a bit nervous about running at night but I think I can do it. I want to take great pics and be able to conserve my energy so I can last the whole after party (I think coffee and food will pay a big role in that). 12/21-final dopey! Great way to officially end Fall. 3 + 6+ 12 +26. I need to plan this out as logistics will be a hot mess. I am thinking of doing the 3 miles and 6 miles around my house, 12 miles at the rose bowl and 26 miles at the beach. The beach is great as there is water and bathrooms but I need to figure out how to have powerade. What are your runs for the Fall? What is your plan? The 2014 Disneyland 10k was Lilo and Stitch themed. Many costumes were Hawaiian, Lilo or Dtitch which I loved. I went as Lilo (coming soon: how to make Lilo costume!) and loved it. We got up at 3:30 am and were ready and out of the door by 4. 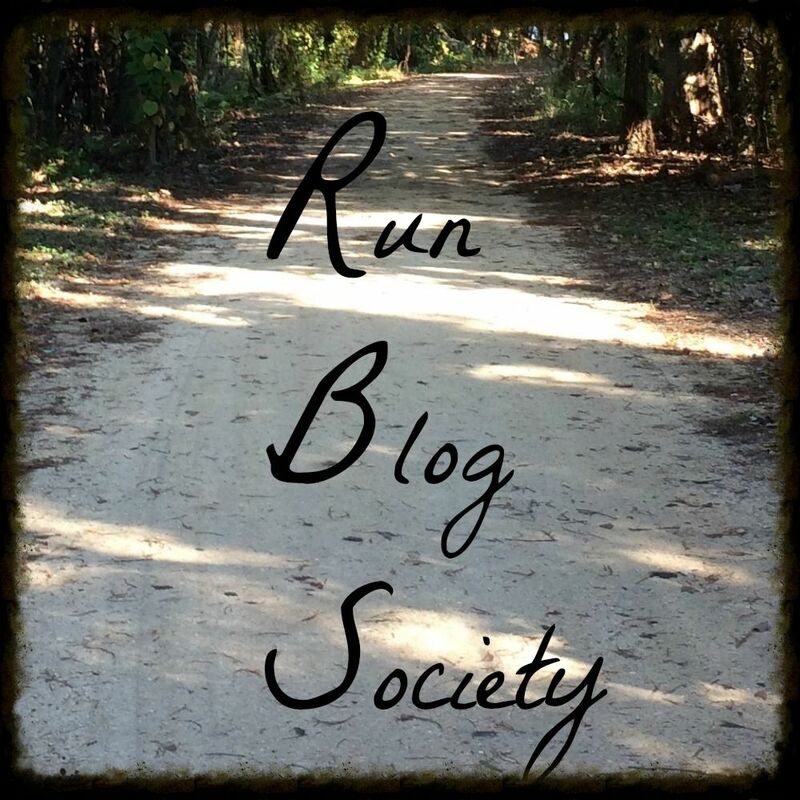 We went to the teamrundisney meetup and got to meet some great fellow bloggers. I love meetups and it is great to meet people in person! We took pics and then checked our bags and made it to the corrals around 5:00. We made our way to the front and just chatted with people and got ready. We were corral C so we had 2 short waits until we took off. I thought it was a bit strange that there were more Dumbos than just 10ks (6000 vs 4000). We took off and decided to do intervals of 2:15/:30 to conserve energy. It was a bit cooler than it has been but also very humid. Since the first mile is pretty straight, it was a great way to spread out. Since I drank a lot of water and tea before the race, I had to pee so bad. We stopped at the first port-a-potty at the convention center and I immediately felt better. This is where the course narrows and it was a lot of walking, which is fine, but I could tell other people were annoyed by it. I will do a shoutout to all of the great costumes we saw on course. People are really stepping up their costume game and it was a great distraction while running! Before we knew it, we were at a water stop and backstage!! We ran through Carsland, Paradise Pier, Buena Vista St, over to Disneyland, Main St, tomorrowland, fantasyland, toontown, frontierland, adventureland and backstage to Downtown Disney. The support in Downtown Disney was the best! I love the end of the course. We finished in 1:29:45 (14:26 pace) and A NEW DISNEY 10K PR FOR ME (by 4 secs haha). Considering I stopped for more pics this race than the one at Princess and it was hot and humid, I consider it a success. 1:30 was my goal so I met that! It was about 3 minutes faster than the year before. Our running time was 1:18:20 (12:34 pace), which is great considering the crowds and level of humidity. I decided to run with both my Garmin (using it for running time-pausing when we stopped) and my ipod (really time, never paused). The one downside of the course was a lack of characters. We took a lot of pictures (in carsland, world of color, castle, main st, etc) but the only Disney characters out were chip and dale as robbers and elvis stitch. The lines were CRAZY so we did not stop. I knew they want to have things in theme but a bit more would have been nice. We ate (so hungry-turns out we were lacking salt!) and wanted to go back to the hotel. It was insane trying to get through Downtown Disney and took forever and didn’t get back to our room until an hour after we finished. We showered and stretched and headed for coffee at Starbucks, breakfast at Flo’s and back to the Expo to shop and go to the screening room. After that, back to the park to ride Radiator Springs as well as get dinner. Back to the room to relax and got in bed around 8 and was asleep by 830. This is the first time I have not taken a nap after running. It seems that not napping is becoming common. I like it as then I am sleep very early the day after running. Next time we would bring a bag for costumes and head straight to the park for brunch, then go to the hotel to shower and get ready, then Expo. We walked a lot and it would save us miles on our legs. For more pictures of the race course, visit my friend Greg's blog. He writes the best recap posts!